Welcome to a special edition of Threads for music month at Urban List. Five days, five outfits, one ultimate source of music and style. 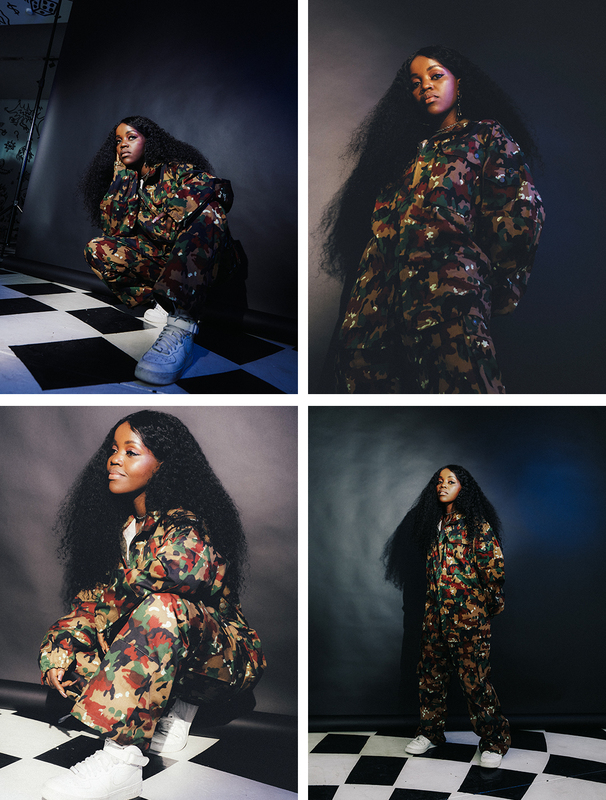 Tkay Maidza is the ambitious Australian rapper taking up space on everyone’s playlist right now. She dropped her second LP last year, Last Year Was Weird Vol. 1, a bold infectious album of eight tracks that fuse hip-hop, gospel, neo-soul, R&B and reggae. 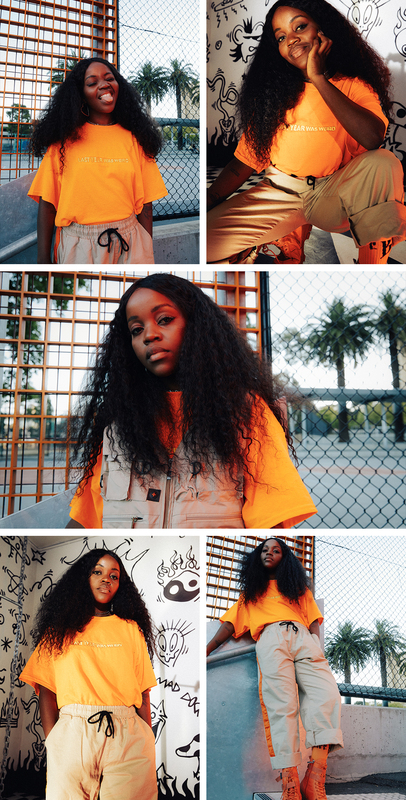 She’s changing the front of Australian hip-hop into something deep, authentic and very stylish—and all in her own way. Born in Zimbabwe but based in Brisbane, when it comes to her creative sensibilities—her music and the way she likes to dress—it’s just that. Maidza dresses how she feels and writes songs inspired by on her own experiences, travels, tours, thoughts and ways of getting wise. Earlier this year she revealed the earliest beginnings of a fashion line, cementing another of her great loves: style and streetwear. 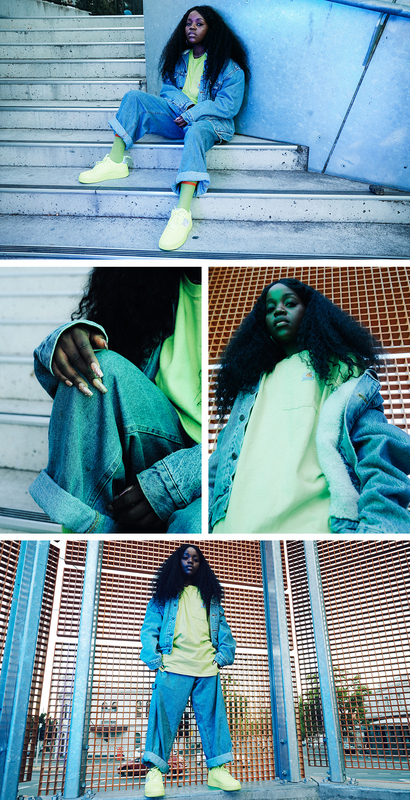 Titled after her latest album, Last Year Was Weird (the label) features a suite of super bright tees, utility vests and hoodies, all inspired by Maidza’s own eclectic, effervescent personal style. We caught up with the rapper during recording sessions in Melbourne to dive into her wardrobe and talk creative inspirations, self-discovery, fashion as expression and never (ever) blending in. For your personal style—what or who inspires you? I generally dress how I feel. My style's really eclectic so I like to channel different people on different days. The most important thing for me is to be comfortable. That’s probably why I am obsessed with streetwear, it's both practical and expressive and can also be high fashion. I started writing music when I was 15. My family has always loved music, I’ve always been around music and I’ve been a massive fan for as long as I can remember. I think I always wanted to be a musician. I remember I used to daydream about making music videos to songs that I was obsessed with when I was in high school. What are some of the things that inspire your music? My feelings, experiences and other songs that I really like. What labels do you love right now? I love old brands like Karl Kani, vintage Tommy Hilfiger, Fubu, and vintage Chanel. In terms of contemporary brands right now I’m really obsessed with Louis Vuitton, MSGM, Supreme, and more boutique brands like Daily Paper from Amsterdam and Knorts from LA. The list just goes on, because there’s a lot of inspiration out there. Did you always want to design a clothing line? I’ve always liked clothes and drawing structures. I studied architecture when I was younger for a year, so I think I’ve always wanted to physically make things. The last couple of years I've had to really figure out who I want to be first, and I think I’m getting closer to that, so it makes it easier for me to have more creative outlets. I think when I was about 17 my parents encouraged me to design clothes so I did have some hoodies and t-shirts made when I was in high school, but I didn’t end up selling them because I had no idea how to go about it! How involved are you in the design process? All the concepts and ideas are mine. I do all the research; I made the logo, I do mock sketches and then I present to my team and say, ‘this is what I feel like making’ and they help me achieve that. Can you describe your personal style in three words? So what is it that you love most about style? I think fashion is an extension of myself. It allows me to show who I am without really saying anything. I like it when I make an effort to look different and just create something new and people notice that, not as a sense of validation, but when people acknowledge that, it means my perception is aligned with my reality. I don’t want to blend in. Can you share any details of what’s coming next for the label? I’ve made a lot of designs that I want to explore. I think it’s just a matter of deciding in which direction I want to go because I think the next drop is going to be the most important. There will definitely be a lot of original prints. Right now, I don’t want to say too much because I could go either way, but there’s definitely a lot coming. And you’re working on more music. What can we expect to hear? I’m currently working on Last Year Was Weird Vol. 2. It’s basically there, a lot of songs are finished, we’re now just filling in the gaps and developing the plan. I’ve shot two music videos for two new songs and with even more coming, I’m excited. Step into the wardrobes and worlds of sneaker influencers, artists and creatives, right here. Location credit: Froth Lyf, Melbourne.